There's a little bit of something for everyone out there today. A solid South swell mixed with with a building ENE swell and a moderate Sou-Wester adding some surface ruffle; you can probably find a wave on just about every stretch of sand on The Beaches this morning. 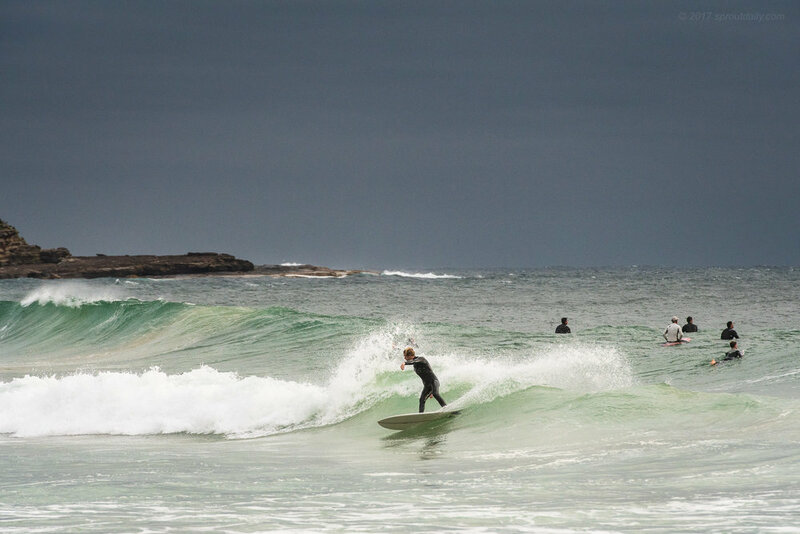 Manly had it all happening with varying degrees of exposure to wind and swell - select a bank and choose your own adventure.